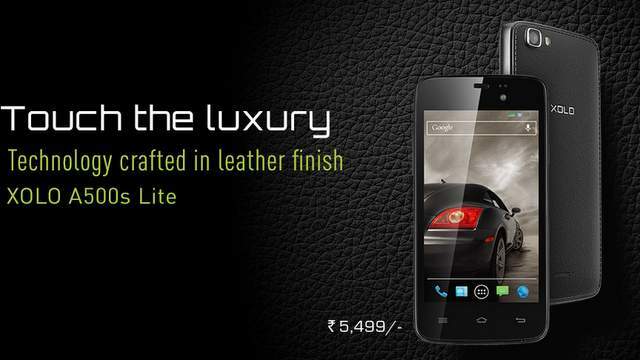 Xolo A500s lite is priced at RS5499. It is a entry level smartphone which comes with some nice features. The A-500s lite supports 10 Indian languages with keyboard typing. It has 4 inch display having 480 x 800 pixels resolution at 233 ppi. It gains the strength from 1.3GHz dual core CPU integrated with 512MB of ram. It has 3MP Fixed focus primary shooter and a VGA secondary camera. You can record 720P HD videos from the main camera and make video calls from the front camera. It would compete with Micromax Bolt A57 and A68. It is downgraded version of A500. As per the details mentioned on the company’s official website, the phone is capable of playing 1080p videos. It houses a1400 mAh battery which offers 520 hrs of standby time and 8 hrs of talktime.